This review will avoid story spoilers. Resident Evil 7: Biohazard is a sharp left turn for the venerable survival horror franchise. It includes some elements that are recognizable from earlier games in the series, including inventory management and a focus on running and hiding rather than drawn-out action sequences. But it mixes those classic features with a first-person perspective, a compact map and game length, and more surprises to make for an experience that feels fresh, tense, and powered-down compared to the direction of the last few RE titles. RE7 has enough new in it to be polarizing for long-time fans of the franchise, and while it may not feel like a Resident Evil title to every fan, it's unquestionably a better and more frightening game than anything the series has produced recently. RE7 will take most players between 10 and 15 hours to beat, though a lot of that time involves searching for items, hiding from enemies, and figuring out puzzles, so repeat playthroughs could be significantly shorter once you know what you need to do at each turn. The pacing of the first few hours of the game is a little strange, as it's likely to be at least 90 minutes before you encounter the first enemy you can actually beat, in the traditional sense (and it actually shows up after that game's first boss fight). Up until then everything is exploration and atmosphere, with stressful chase sequences, a few jump scares, and an unrelenting sense of vulnerability brought about by the game's first-person perspective. The game's opening half takes place in and around a decaying family residence in a swamp, and as you progress you'll unlock doors and create shortcuts that allow you to backtrack through previously explored areas grabbing additional items and advancing the story. These hours are the game's most effective in terms of scares, and use visceral body horror, cryptic storytelling elements, and limited combat resources to keep the player unsettled. Throughout the game you'll find a handful of VHS tapes that can be viewed through the use of in-game VCRs, and viewing the tapes gives you a chance to take control of another character in the world of the tape for a while. Though these tapes are technically optional, they provide some of the game's best and most creative moments, as well as providing cruciaul clues and giving you a chance to explore new areas before the protagonist actually enters them in the story. They also serve as great nods to the "found footage" style of horror that's so popular in films these days, and the tapes often serve to document the final moments of the unfortunate camera operator. Combat plays a relatively small role in the first half of the game, with few enemies standing in your path (and fewer still that you can't just run past, if you're brave and tough enough to take a few hits along the way). The most common enemy type you'll encounter in RE7 is a sort of fungal zombie referred to in-game as "molded." The molded come in a few varieties and the standard rule of "aim for the head" still applies, though their strange appearance and unpredictable movements can make even a single foe a challenge. Even with rock-solid aim the standard variety of molded will still soak up a half-dozen pistol bullets before dying, and bullets are in very short supply. This can be frustrating at times, though it does encourage smart play (and sometimes camping in safe rooms, which usually causes the enemies to disappear and reset somewhat). The game's boss battles are mostly standard Resident Evil fare, and you'll be well served if you save your best weapons for these extra-tough enemies (as tempting as it might be to blow away regular enemies with your grenade launcher). I actually found the game's first boss fight, which takes place in a cramped garage, to be the most creative and entertaining, but there isn't really a bad one in the bunch. The last few hours of RE7 see an increase in action as you're equipped with some more impressive weapons. The gradual move from horror to action seems to be inevitable in survival horror these days, but RE7 deserves credit for keeping the run-and-gun segments to a minimum (and comes nowhere near the total action transformation seen in something like The Evil Within). 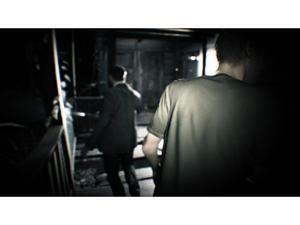 Some greater variety in enemies would have helped to keep things unpredictable and tense in the game's final hours, since killing molded becomes routine, but the game makes a good move by "resetting" your equipment for a while in a way that doesn't feel cheap, giving you a second taste of those powerless early hours that are always a horror game's tensest. Gamers who own PSVR can play all of RE7 that way if they so chose, but gosh that doesn't seem like a great idea. Though the final VR experience has been tweaked from the nausea-fest that was the E3 2016 demo, early reviews report there's still a lot to be desired in terms of comfort. 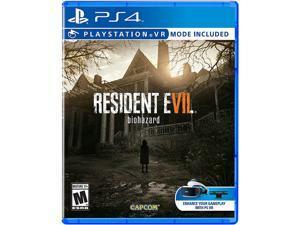 Virtual reality is a fantastic medium for games, and horror in VR is an incredibly intense experience, but I'm not a fan of VR "ports" that use controller movement, and would encourage interested gamers to try other virtual reality experiences first, lest RE7 sour them on the whole experience. There are some irritating aspects to RE7's gameplay that had me rolling my eyes at points, and the game could have benefited from a deeper look at whether certain elements were actually "scary" rather than just "annoying." Most egregious here are the exploding supply crates found in a puzzle-heavy middle section of the game, which feel more frustrating and unfair than frightening. The completionist in me was also bothered by the fact that I had to re-collect story clues after dying in some sections of the game if I wanted them to show up in my documents list. RE7 tells an effective horror tale that's all the more effective for only being tangentially related to the mainstream Resident Evil mythos. While you'll have essentially all the answers and lore details you crave by the end of the game's runtime if you keep your eyes peeled for story items, for the game's opening half you're trapped in a nightmare world where nothing seems to make sense and terrible monsters want to kill you. RE7 works because it makes the player experience what it must be like to be an average person who encounters the horrors of Resident Evil, rather than a trained special forces agent who deals with zombies (or whatever) every day. The game also works by exploring the tragedy at the core of its horror, presenting you with a family of sadistic and inhuman killers and then slowly revealing how they came to be that way. The game's main antagonist is also pitiable in many ways, though the fact that it's unclear how much of that pity is warranted adds an effective edge of uncertainty to the game's later stages. There are also shades of tragedy in RE7's only meaningful story choice, but the characters aren't well-developed enough to make this the agonizing decision it really should have been. Resident Evil 7 feels a bit like classic Resident Evil, a lot like Outlast, and a little like The Last of Us and F.E.A.R. 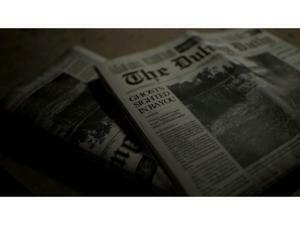 It's an effective (though brief) horror experience, and hopefully marks the beginning of a new age for the franchise. 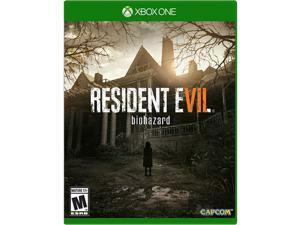 7.75 Resident Evil 7 is a highly effective horror title fans of the genre will enjoy, as long as they can tolerate its short length. It's different than the past few Resident Evil titles, but it's different in the right ways. Some classic survival horror gameplay broken up by more innovative and unorthodox segments. It won't be for everyone, but it mostly works. An effective, disturbing, and tragic tale of horror that works largely because it keeps its distance from the bloated Resident Evil mythos. 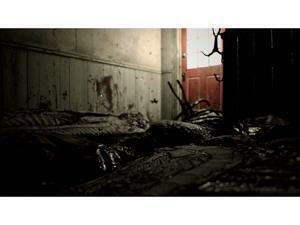 RE7 is a great-looking game on the PS4, with graphics so visceral you'll be scratching yourself raw. Only serious diehards will find much of a reason to repeat the game on a harder difficulty once they know all the story twists and turns, though story DLC is incoming.